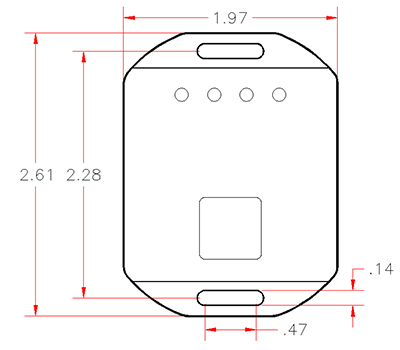 Accessories - Robotics Technologies, Inc. The worst time to discover that your mobile video system isn’t recording is when you have an incident. The best time is as soon as there is a problem–so that you can correct it immediately. That’s why we have created the Bus-Cam® Recording Monitor: To provide an audible alert and identify the fault with bright LED lights. Some similar warning devices have only visual indicators, and can be missed or ignored completely–until it’s too late. The Bus-Cam® Recording Monitor / Panic Button provides both–for the most comprehensive protection. In addition to monitoring, we provide a Panic Button, so that the driver can bookmark an incident for easy navigation and review. The Bus-Cam® PB4F is a plug ‘n play Recording Monitor / Panic Button that is intended to work with your Fortress Video System. It’s provided with the appropriate cabling and two mounting screws for quick and easy installation. 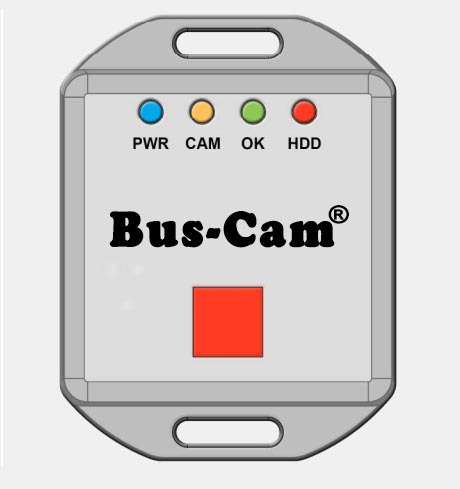 The Bus-Cam® PB4R is a plug ‘n play Recording Monitor / Panic Button that is intended to work with your REI Video System. It’s provided with the appropriate cabling and two mounting screws for quick and easy installation. NOTE: These products are not necessarily compatible with all models. Please check for suitability before placing your order.